God’s forgiveness is a gift that we receive by faith. Just as we were saved by His grace through faith (Eph. 2:8-9), His constant, day by day forgiveness also comes by grace through faith. We can’t earn it by works, nor do we deserve it; we receive it by faith. And the way we begin to have faith in Him is by coming to Him in prayer with a broken and humble heart—to confess our sins and repent. Then when God sees that we are genuine in our repentance, He will freely offer us His gift of forgiveness and cleansing. 1 Ron Davis, A Forgiving God In An Unforgiving World (Harvest House Publisher: Eugene, Oregon, 1984), p. 39. 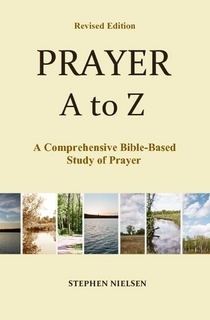 This entry was posted in Forgiveness and Prayer, Prayer A to Z Excerpts and tagged cleansing, Confess sins, confession, faith, forgiveness, God's forgiveness, God's grace, prayer, prayer of confession, repentance, sin. Bookmark the permalink.